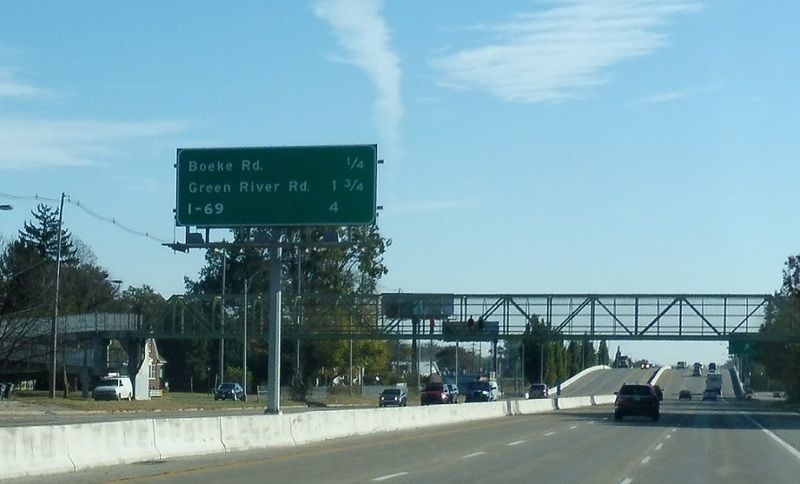 Reassurance shield after the 41 junction. 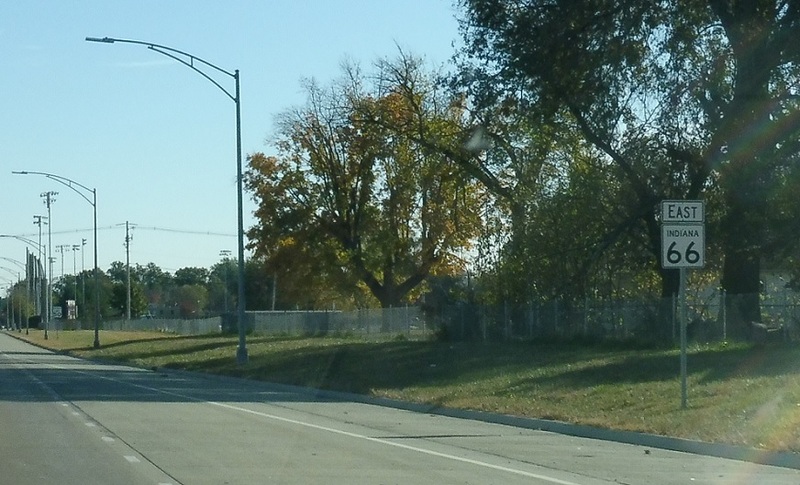 After Weinbach Avenue, we’re four miles from I-69. 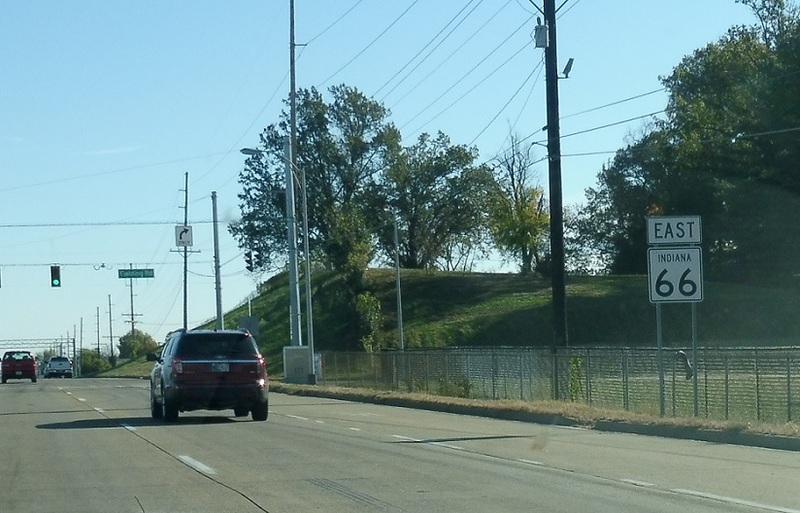 Reassurance shield after the Vann Avenue junction. 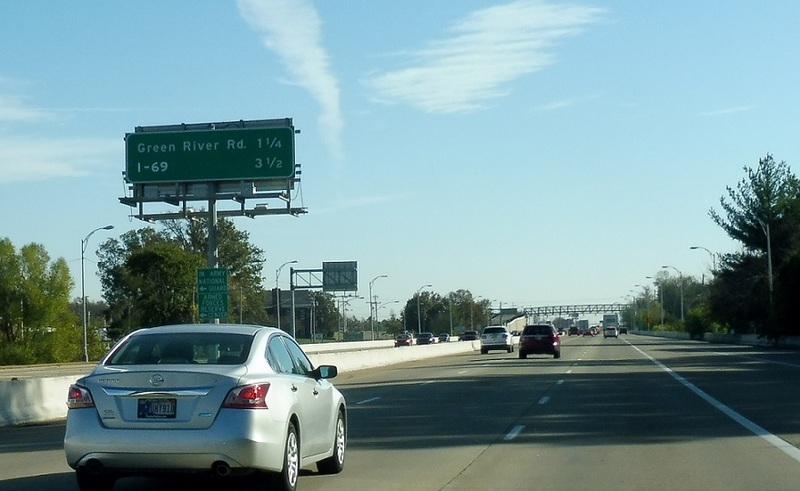 After Green River Rd, stay straight to access I-69. 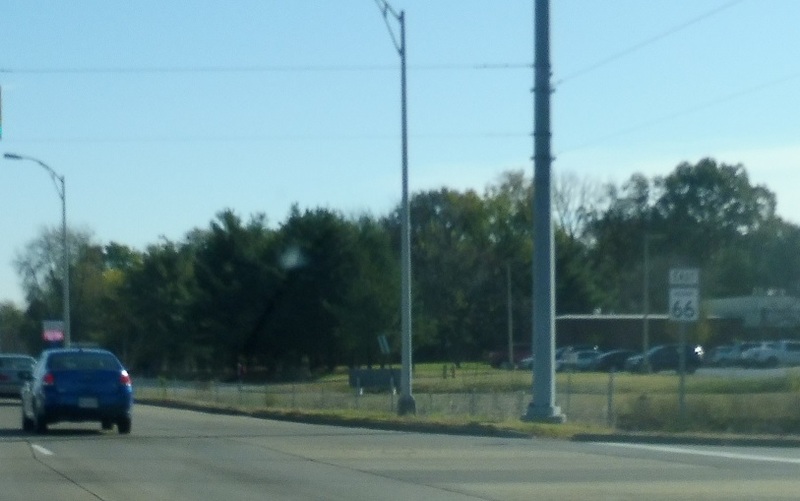 Reassurance shield after Green River Rd. 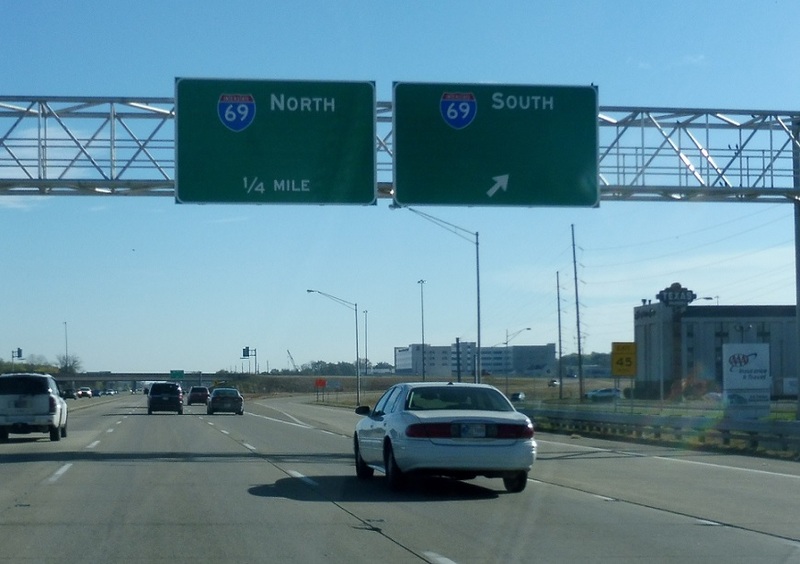 In a mile, we’ll approach Interstate 69. 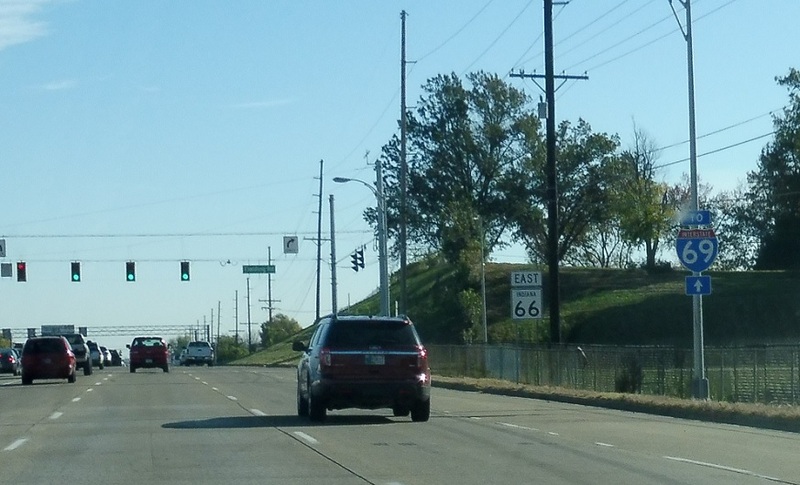 1/2 mile to I-69. 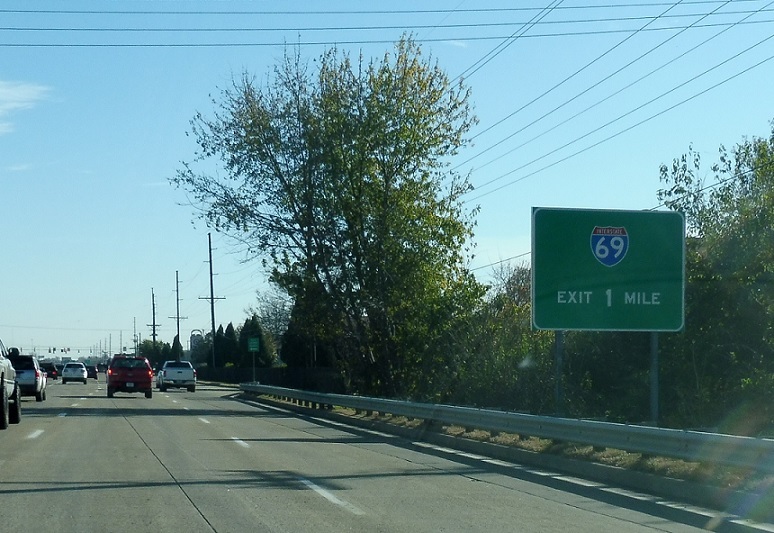 This segment of I-69 used to be I-164, and was renumbered in 2014. 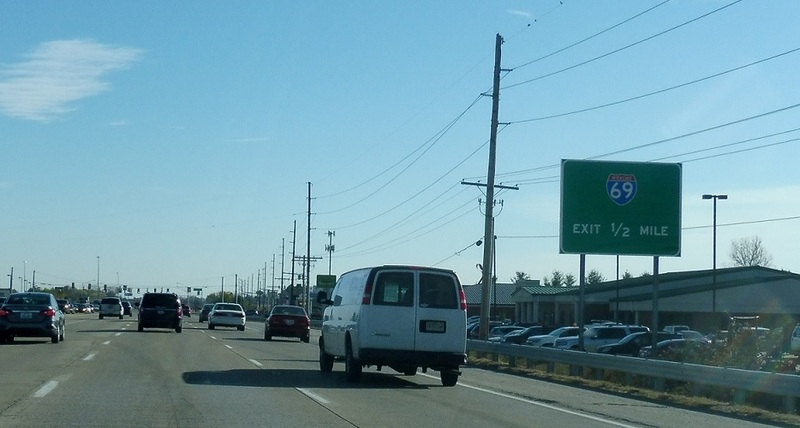 Exit right for I-69 south, which heads back to downtown Evansville. 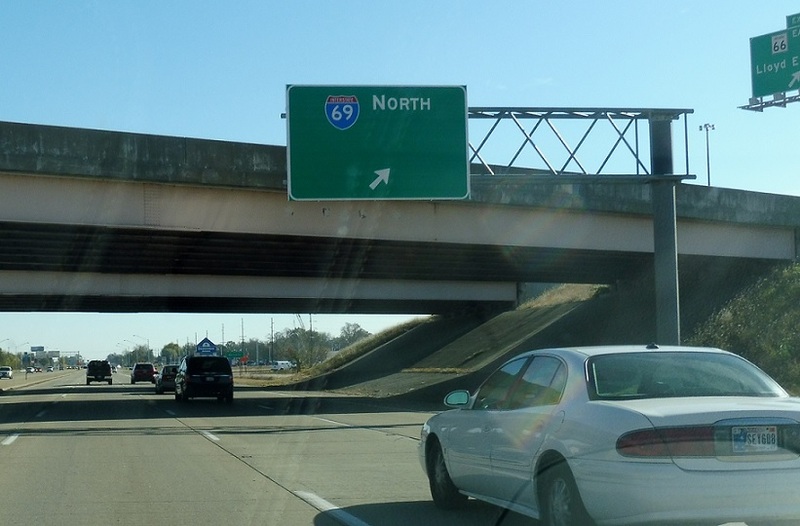 Exit for I-69 north towards I-64.